Your life is not going to be easy, dear one. I’m sorry, but this is the truth. There will be days when you despair like Job: Why was I born? What is the point? Why does everyone have it better than me? There will be moments when you lament like the Psalmist: Where are You, God? Why have You forgotten me? Why did You let this happen? There will be times when you want to lash out in anger like the disciples. Why won’t people listen to me? Why won’t they do what I want? Why is everything so hard? But God will always offer you a quieter, wiser way—if you open your ears to hear and your heart to listen. The life of faith is a journey. Yours will wind from home to school to work to wherever God leads. Plans and people lie ahead of you that you cannot imagine now. The only certain truth is that the journey will twist and turn where you least expect. But by the gifts of birth and baptism, God has promised you goodness. God has plans for you, and they are full of hope. By birth you have been created and called into a world that needs your gifts. 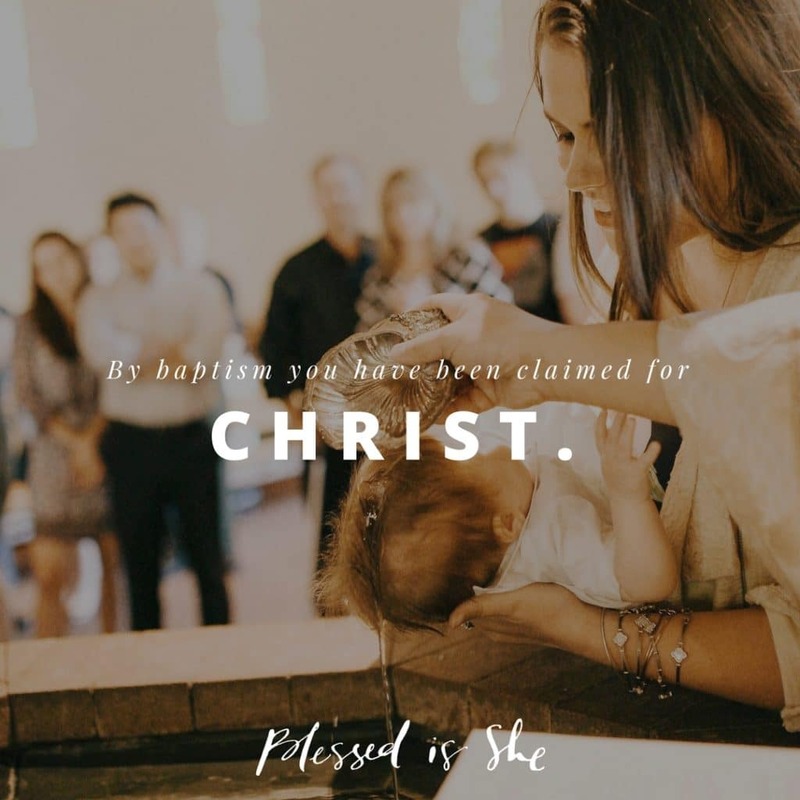 By baptism you have been claimed for Christ and transformed into His follower. So if you are refused, remember that Christ was rejected, too. If you are distressed, remember that He was determined despite every obstacle he faced. Set your face like His, committed to follow where God will lead you—even all the way to the cross. Follow where God calls, and you will never be left alone. This is the promise of your baptism. This is God’s gift for every one of us. This is the way love transforms life. Give thanks for the gift of your baptism today. Let your prayer come before God like the Psalmist. Ask for the strength to follow where Christ leads and to journey where the Spirit calls. Next Post Let Me Just . . .